Universal appeal is the main goal of all good home staging designs. While the old saying tells “You can’t please everyone, all the time”, home stagers always attempt to do just that. 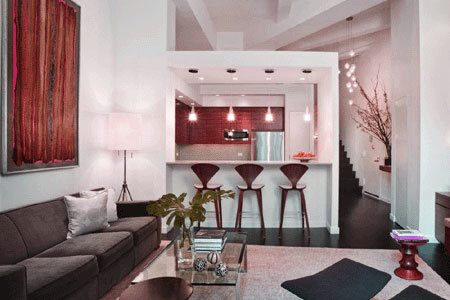 Appealing to the masses is the precise nature of what home staging is all about. Quality staging techniques will help you to sell your home by making it far more desirable to many more people. To put it simply, staging will turn a home, which suits your tastes, into a home which suits everyone’s tastes. This vital topical discussion introduces and expands upon the philosophy of appealing universally to the prospective buyer demographic, in order to successfully market real property. Let’s start out by saying that there is nothing at all wrong with your present taste and style. Your house is your home and it is all the combined possessions and memories which give this simple piece of real estate meaning for you and your family. This is logical and wonderful. However, you are not trying to keep this property. You are trying to sell it. Therefore, you need to accept that what is precious to you, may not be appealing to a prospective buyer. This is where home staging becomes your best friend, your most effective ally and the jewel in the crown of your real estate marketing plan. The idea of appealing to the masses is what will get your home sold. So in essence, we are talking about methods of making your property stir desire in every prospective buyer who comes to view it. Declutter the space and organize the remaining possessions to make the home seem larger and more functional. Depersonalize taste-specific colors, décor and furnishings to remove the present owner’s footprint on the home and allow potential buyers to see themselves living in the space. Update and improve the aesthetics of the home. Market the property, the layout and the choice of room function to the specific target demographic which is likely to make offers on the house. Selling a home can be stressful and may force you to make style sacrifices and decorating compromises. You can keep your home exactly the way it is and ignore staging. In this case, your sacrifice is to wait and wait while your home remains on the market unsold. When it finally does sell, your further sacrifice is to accept far less money (up to 17% less) than if the property were staged. The only benefit you will gain is that you do not have to move those dusty old photos or clean out those cluttered closets. You do not have to start packing in anticipation of your move, since your home is unlikely to sell anyway. If you decide to stage, then your sacrifice is an expenditure of time and effort, as well as a possible monetary investment. You may have to put some of your beloved personal items in storage and may have to work harder at keeping your home clean and neat. However, the effort will net you a quick and highly profitable sale, which can amount to an additional $10,000 to $50,000 on an average priced house. Is staging worth it? I think you can answer this simple question for yourself.